In this cartoon from The Daily Mail, Mac imagines what will happen if the central recommendation of the Leveson Inquiry into the culture, practices and ethics of the British press is put into practice. In fact, Lord Justice Leveson proposed "independent regulation of the press, organized by the press itself with a statutory process." A couple are walking in the street, having just passed a series of newspaper billboards with headlines about totally insignificant stories such as "BIG PILE OF LEAVES FOUND UNDER TREE", or "WOMAN SUFFERS BICYCLE PUNCTURE". The man comments, "Looks like the new press regulatory body has started work already." The message of the cartoon is that if the press is subject to excessive regulation, it will not be able to report any worthwhile news (see here for a similar cartoon). In fact, UK PM David Cameron has already rejected the idea of a law to regulate the British press, so the chances of it happening are slim. Cartoon: The Future of the Press? Should Leveson's recommendations be implemented in full? REPORTER: It's the news that everyone in the news has been waiting for. Judge Brian Leveson delivering his verdict on the conduct of Britain's newpapers, but not before drawing attention to the gravity of the occasion. JUDGE BRIAN LEVESON: "For the seventh time in less than 70 years there is a new report commissioned by the goverment dealing with concerns about the press which was sparked by public revulsion about a single act, the hacking of a mobile phone of a murdered teenager. From that beginning it has expanded to cover the culture, practices and ethics of the press and it's conduct in relation to the public, the police and politicians. This inquiry has been the most concentrated look at the press this country has ever seen." REPORTER: The far-reaching inquiry reportedly cost close to 6 million pounds, it received testimony from well over 600 witnesses - more than half of those in person during 97 days of hearings. In total, the inquiry generated 6 thousand pages of evidence. But the focus of media interest was centred on one particular detail. What new measures would the judge recommend? JUDGE BRIAN LEVESON: "I am proposing independant regulation of the press, organized by the press itself with a statutory process to provide press freedom, provide stability and guarantee for the public that this new body is indepedent and effective." MATT COWAN, REUTERS CORRESPONDENT: Prime Minister David Cameron and senior goverment officials were given the report to prepare their responses but rather than resulting in a calculated consensus, the inquiry's report has seemingly produced a rift within goverment. Inside parliament, while broadly welcoming the findings, the Prime Minister expressed serious concern over the prospect of legisation. DAVID CAMERON, UK PRIME MINISTER: ... for the first time we would have crossed the Rubicon, writing elements of press regulation into the law of the land. We should, I believe, be wary of any legislation which has the potential to infringe free speech and a free press." REPORTER: Later, his deputy Nick Clegg - a Liberal Democrat - expressed a dissenting view...one that was echoed by Brian Cathcart who's headed up a campaign called Hacked Off. He says without legislation any new regulator would be toothless. BRIAN CATHCARD, HACKED OFF FOUNDER: "In tearing out from this report the element of scrutiny on the self-regulator, he has left us with only a self-regulator. That is where we were before. That is where we have been for 60 or 70 years." REPORTER: So while there's agreement that the status quo cannot continue, what comes next will be the subject of considerable debate. If someone in authority vetoes something, they forbid it, or stop it being put into action. • Councillors have vetoed the site of a new quick-response ambulance station – because it would involve chopping down trees. This cartoon by Paul Thomas from The Daily Express relates to the Duchess of Cambridge's new hairdo (see pictures here and below), which, according to The Mail, "appears to have been inspired by the late Seventies and early Eighties, with a heavy parted fringe reminiscent of Farah Fawcett." In the cartoon, The Queen is shown with a Kate-style hairdo. 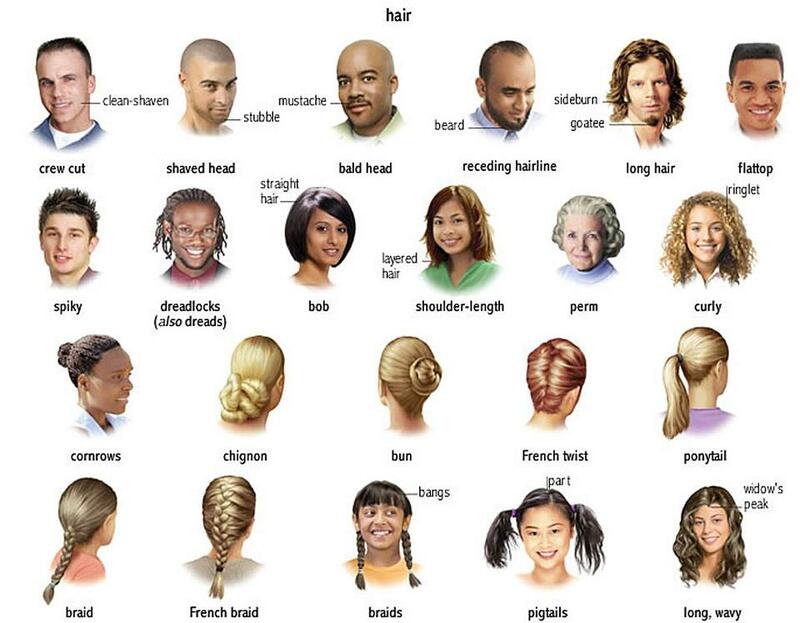 Her husband Prince Philip, tells her, "Leave the new hairstyles to Kate, my dear ..."
See here for a useful poster featuring different types of hair. Thousands of Santas converge on Sydney for the Santa Claus Festival. Kilmeny Duchardt reports. A sea of St. Nicks abandoned the North Pole and flooded the streets of Sydney - trading freezing temperatures for Australia's summer heat. It's all for the annual Santa Claus Festival and fun run, which raises money for good little boys and girls in need. In the evening, the spectacle continued as his dopplegangers spread some more holiday cheer, moments before Santa took off with his jetpack to kick off the holiday season. A supergrass is a person who gives the police information about a large group of criminals. • The "supergrass" was the only witness in a trial of 35 IRA suspects which collapsed in 1984 when the then Lord Chief Justice dismissed his evidence as being "unworthy of belief". Andy Davey's brilliant cartoon from The Sun shows the Stones on stage at the O2 Arena. The concert is being stopped by two Health and Safety officials. One of them has just switched off the power, and the other is carrying a tray with mugs of cocoa. He tells the Stones, "That's it gents - 11 o'clock - time for your cocoa." The OAPs in the audience are not happy at having their concert interrupted. One of them waves a walking stick, while another throws a pair of bloomers at Jagger (a reference to appreciative female fans throwing knickers at male singers such as Tom Jones). The joke is that the Stones are now so old (singer Mick Jagger is 69, and guitarist Keith Richards 68) that they should be thinking about going to bed with a cup of cocoa (i.e., hot chocolate) rather than playing a rock concert. 1. As a joke, Health and Safety is sometimes written 'Elf 'n' Safety. 2. Gents is short for Gentlemen. Another 70,000 properties are at risk as stormy weather in the UK responsible for killing three people heads north. Jessica Gray reports. REPORTER: Aerial shots taken over south west England show homes, roads and land completely submerged under water. Heavy storms, responsible for the deaths of three and the flooding of hundreds of homes, have ravaged the area since Wednesday. Officials say the stormy weather is heading north and could put another 70,000 properties at risk. Environment Secretary David Owen (sic) visited some of the worst hit areas. ENVIRONMENT SECRETARY OWEN PATERSON: "I'd like to offer my deepest sympathies to those who have been affected by floods, 450 households all over the south west. It's frightening for young people, very difficult for elderly people and of course very disruptive for business." REPORTER: Residents said they could only watch as water began to flood their homes. LOCAL RESIDENT, MATTHEW WESCOTT, SAYING: "Yeah (on) Saturday night, about ten, eleven o'clock it started coming in." Forecasters have warned there is more severe weather to come in the next few days. Today's Sun cartoon by Brighty relates to the The Leveson Inquiry into the culture, practices and ethics of the British press following the News International phone hacking scandal. Lord Justice Leveson is due to publish his findings this week. The most controversial issue he has to decide is whether the Press can be trusted to continue to regulate itself or whether a new form of statutory regulation, enforceable by law, should be introduced. The Press is strongly opposed to statutory regulation, warning that it will put newspapers’ independence at risk. Brighty's cartoon shows the front pages of a selection of UK national daily newspapers, all of which are blank. The message is that the freedom of the press would be placed in jeopardy by a press law imposing statutory regulation. The Rolling Stones kick off their 50th anniversary mini-tour, ''50 & Counting'' at the O2 Arena in London. John Russell reports. REPORTER: The Rolling Stones returned to the stage on Sunday (November 25), proving that advancing years and sometimes bad blood between band mates are no barriers to living up to the expectations of their legions of fans. The sell-out gig at the O2 Arena in London was the first of five shows, which saw the band play hits like "I Wanna Be Your Man" and "Get Off My Cloud" to a 20,000 strong audience. And even with ticket prices that has drawn some criticism for being too high, the opportunity to check out the world's greatest living rock and roll band, was for many fans, priceless. FAN 1: "Amazing I came all the way from Australia and 'Midnight Rambler' - the best ever. Mick Taylor, what a genius." FAN 2: "It was pretty special. You know it's not very often that you get to see something like that." FAN 3: "Really fantastic. I was in the front row right in front of the stage. It was really exciting." REPORTER: In a burst of activity to celebrate 50 years in show business, the veteran rockers with an average age of 68, have already come out with a new photo book, written two songs, collaborated on a documentary and released a greatest hits album. Following Sunday's performance The Stones will play one more gig at the O2 Arena on November 29, before crossing the Atlantic for a handful of shows in the U.S.
Something that is a sham is not real or is not really what it seems to be. • The government's promises were exposed as a hollow sham. This cartoon by Adams from The Telegraph relates to last week's EU summit, at which European leaders failed to reach agreement over the Union's next seven-year budget. The cartoon portrays French President François Hollande as a Gallic rooster (the unofficial national symbol of France), pecking at a small sack labelled U.K. Rebate. Behind him, we can see a much bigger sack, overflowing with grain. This one is marked "C.A.P.". CAP is an abbreviation for Common Agricultural Policy, a system of European Union agricultural subsidies and programmes, which represented 46.7% of the EU's budget, or €49.8 billion, in 2006. The latest must-have for the stroller set? A high-end stroller with an iPad holder for both parent and baby. Bobbi Rebell reports. REPORTER: (Baby Max is) chilling out- watching Bubble Guppies on the iPad right on his stroller. His mom, Leslie Venokur, who runs the New York City moms group Big City Moms, was one of the first to get this one from Orbit, which allows the iPad to work for parents and for child. LESLIE VENOKUR, CO-FOUNDER, BIG CITY MOMS: "It's a wow factor too, when you are walking down the street. But it's just great because I can, if I'm lost, I can just pull out my map and keep the kids busy with some videos." REPORTER: Vinokur, who also has a 4 year old, says the integrated iPad is also a defensive move. LESLIE VENOKUR: "My daughter would throw it on the floor. That's an expensive piece of merchandise to just keep dropping and break so this keeps it nice and safe and secure. " REPORTER: But cutting edge comes at a cost. Bringing this baby home for your baby will set you back about $750. Grace Lee, who is in charge of marketing at kids' products retailer Giggle says when it comes to high tech, parents will pay. GRACE LEE, DIRECTOR, MARKETING AND COMMUNICATIONS, GIGGLE: "We definitely see a demand for smartphone friendly and Apple in particular friendly gadgets. That goes for monitors as well as strollers and other gear. FARRAH, GIGGLE SHOPPER: "I want him to be more involved. Just culturally, what is around. I mean we live in an amazing city, and there is so much to see and I don't want him consumed by a digital device on his stroller. " MEGAN HARRISON, GIGGLE SHOPPER: "I think it's pretty great. I mean if my kids are going to have a tantrum I'd much rather put on "Finding Nemo" or some Elmo and just soothe them, make them happy." VALERIE GILES, GIGGLE SHOPPER: "I would hope that they were sort of looking around the world around them, and not have to be staring at a screen. They are going to be staring at a screen for their lives probably. Why not look at passers by or trees or anything real- something real." REPORTER: But Venokur remains a believer. Her favorite go-to app? White noise- which puts baby Max right to sleep. I always found a dummy ("pacificer" in American English) worked wonders with our kids. A lot cheaper than an iPad too! A surgery is the room or house where a doctor or dentist works. • The future of a fire-damaged doctors' surgery in Poole is in the balance, five months after it was damaged by arsonists.